You have to give the Australians their dues when it comes to burnouts. From what we have seen, it’s not just the burnout, it’s usually complete destruction of the rear end. So great to watch. Here we have the guys from down under setting a new burnout world record, but not just setting it, also breaking it again. 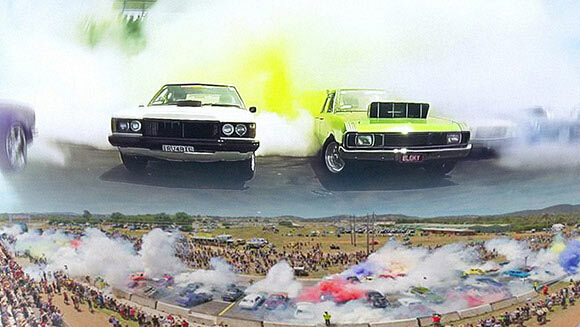 The record was first set on January 4, 2013 in Canberra, Australia at Summernats 26 with 69 cars completing a 30 second burnout. The record was then broken on new years day 2015 at the same venue with 103 cars. 20 independent witnesses were on hand to make sure all the cars completed a proper burnout. If you do nothing else today, you’ve got to check out these videos. It’s just sheer burnout heaven.